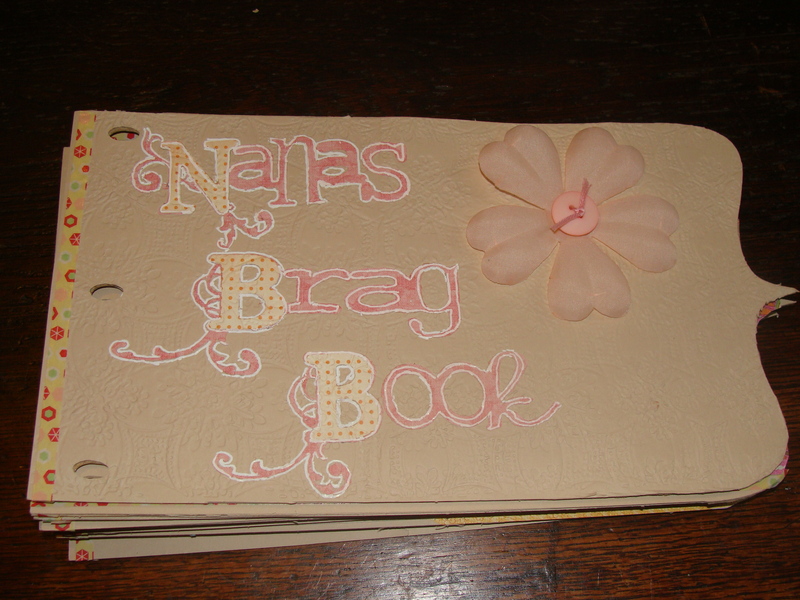 I made my Mom a “Nana’s Brag Book” for Mother’s Day this year. 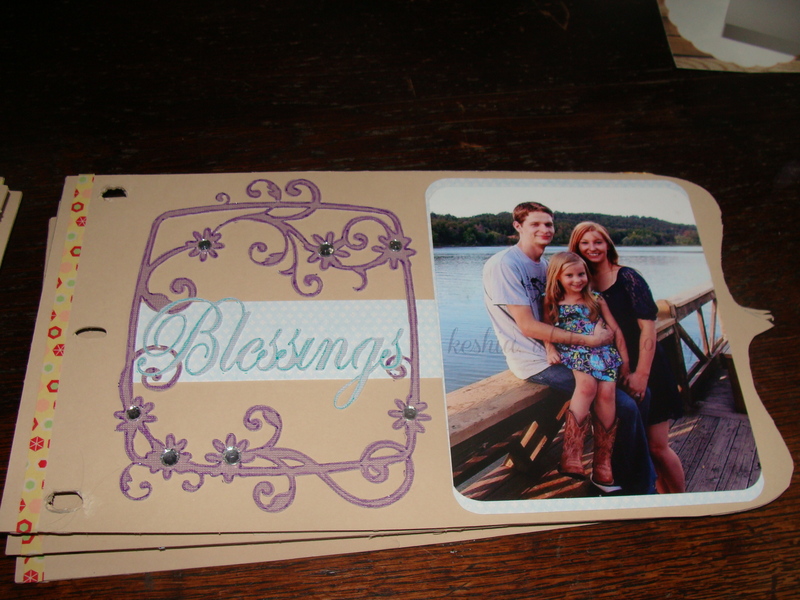 I had been saving cereal boxes for awhile to try a mini book and decided that the family pictures we had made in July 2012 would be perfect for this. Mom needed a Mother’s Day gift and since she had been hinting about getting some of the family pictures I decided to just try it out and see how one would do! 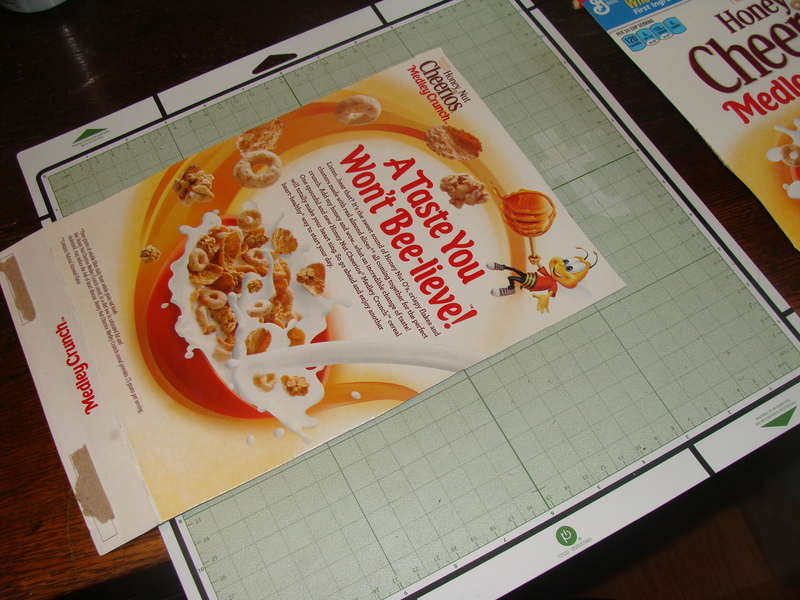 I started by cutting my cereal boxes and getting them to a size that would fit on my 12×12 mats. 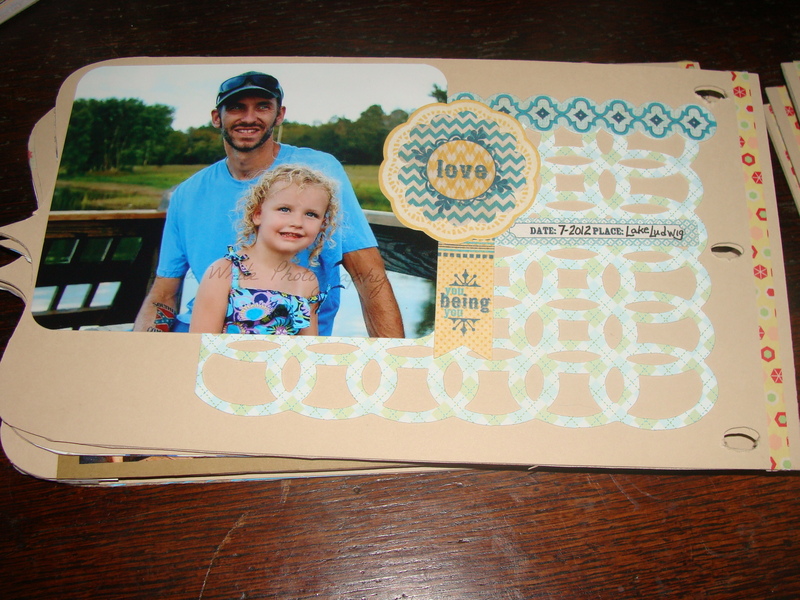 I used the Mini Books cartridge and selected a standard book cut. 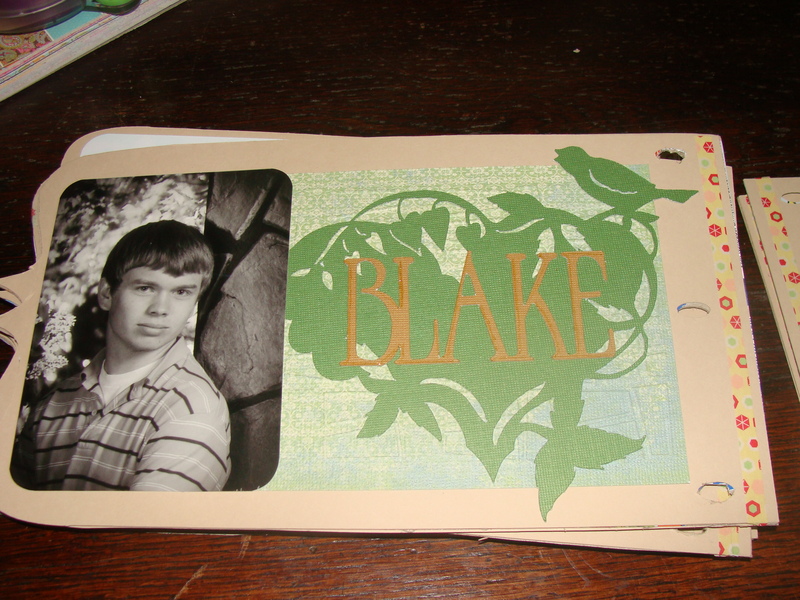 I cut them at 10.45w x 5.611h so I could fit both a picture and embellishments on each page. I used a regular 45* blade and set it to cut twice to make it go through the board. I also used some double sided tape to make sure the board was anchored to the mat securely. I cut out 8 pages and then I duplicated the cut on the mat and cut 16 tan cardstock pieces to attach to the board for backgrounds. 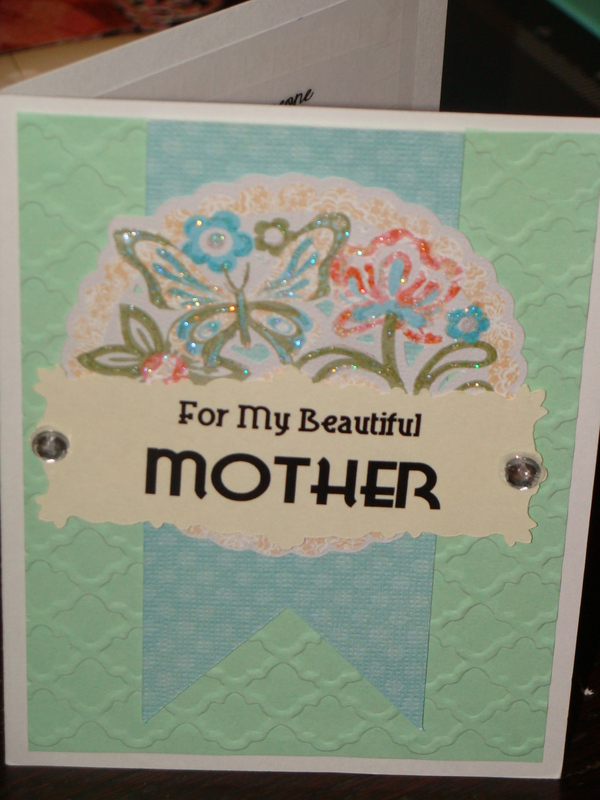 I used both Cricut cuts and store bought flowers, die cuts, Copic Glitter markers, ribbons and my Cuttlebug to embellishment my pages! 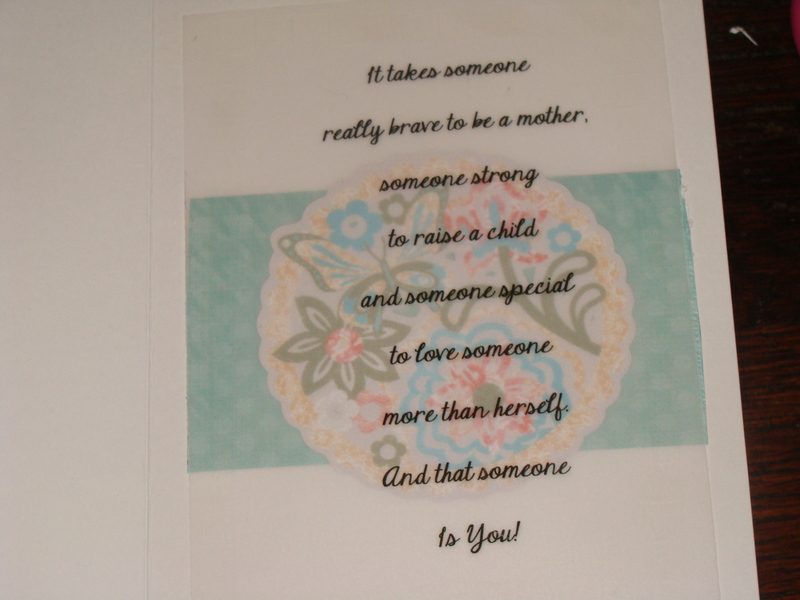 The final back page is a Mother’s Day poem by Helen Steiner Rice that I put into a Word Document and printed onto vellum. 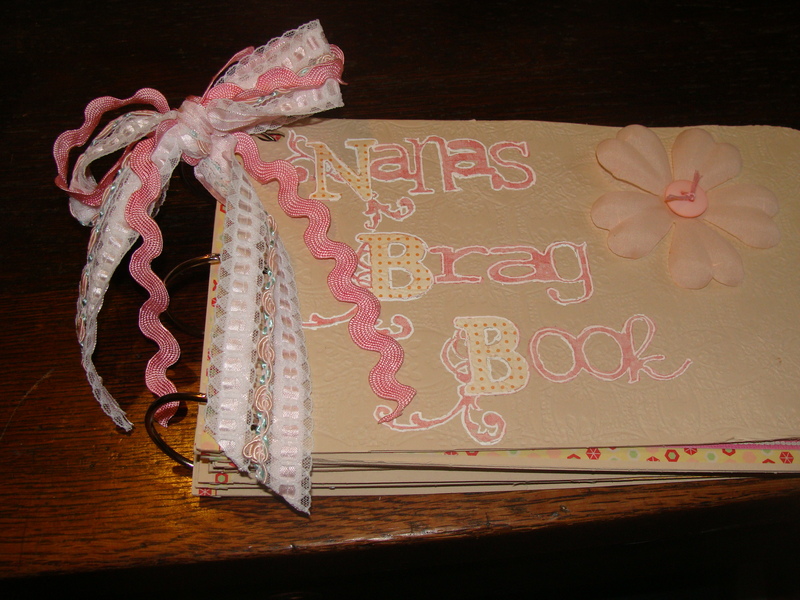 I finished it out by adding large jump rings to bind it and tying ribbon around the top jump ring. It was an intense 3 day labor of love!! There’s more pictures of the finished product on my blog- http://theseareafewofmyfavoritethings-beth.blogspot.com/ if you want to see how it all looked finished out. I posted a few here to show some examples, but 16 pages is quite a few pictures!! We don’t really live on a farm. We have about 40 acres that’s mostly wooded, where we live with our cats. If cats were a farm animal, then I guess with 10 cats I’d be considered a farmer! But we do have a chicken pen, that had chickens in it several years ago. My granddaughter, who just turned 5, decided that she wanted chickens for her birthday in February and they had to be live, so we now have chickens again. I took this picture the day after her birthday and knew that she would have to have a layout associated with it. This layout is a mix of different cartridges and layers all put together as a backdrop for my picture. 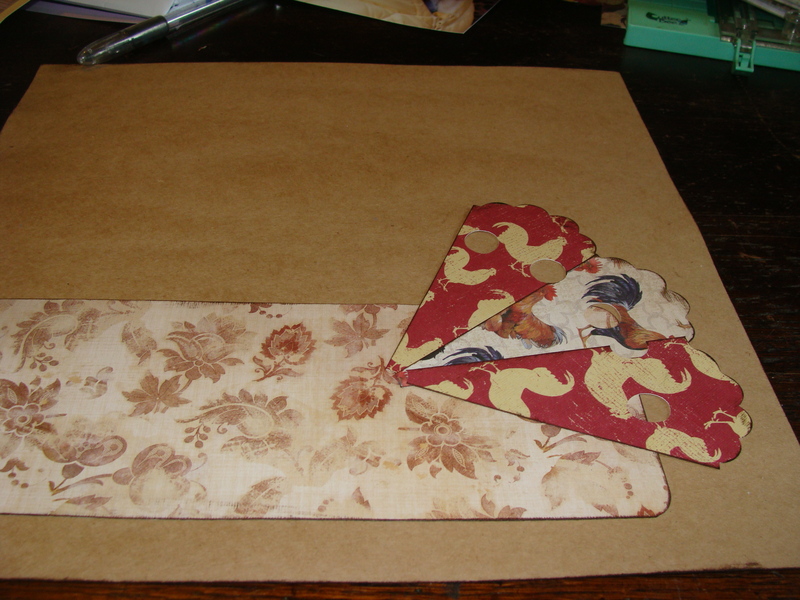 I decided that since the layers would be a mix of patterns, I would go with a solid piece of kraft paper for the base. 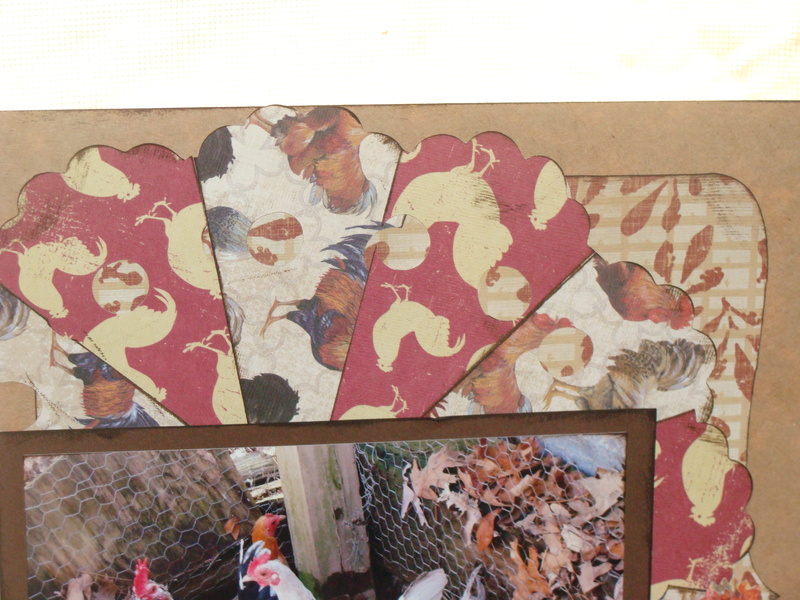 Then I went through my paper stash and found two different sheets of paper that had chickens on them. I went through again and found some prints that matched the color scheme. 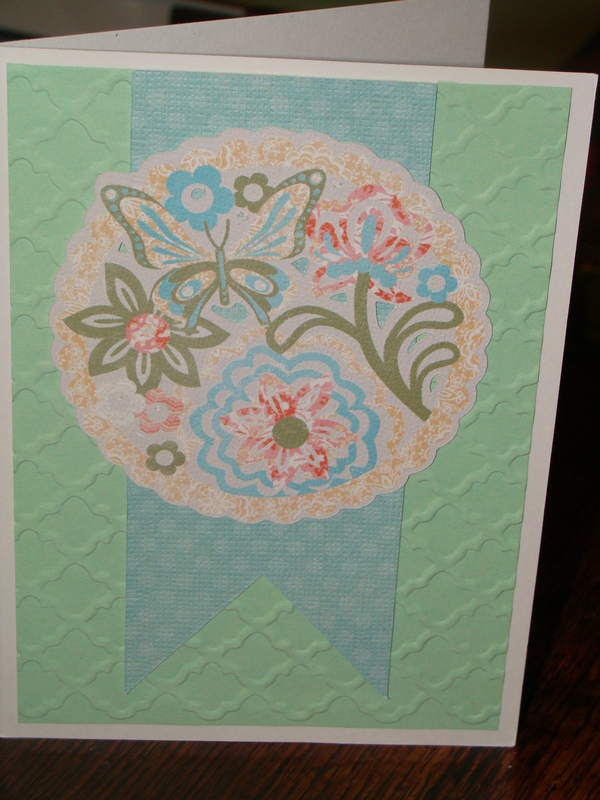 I knew that I wanted a quilted look as the main frame around the picture so after a little searching, I found a doily in the Martha Stewart Elegant Cakes cartridge that I like. 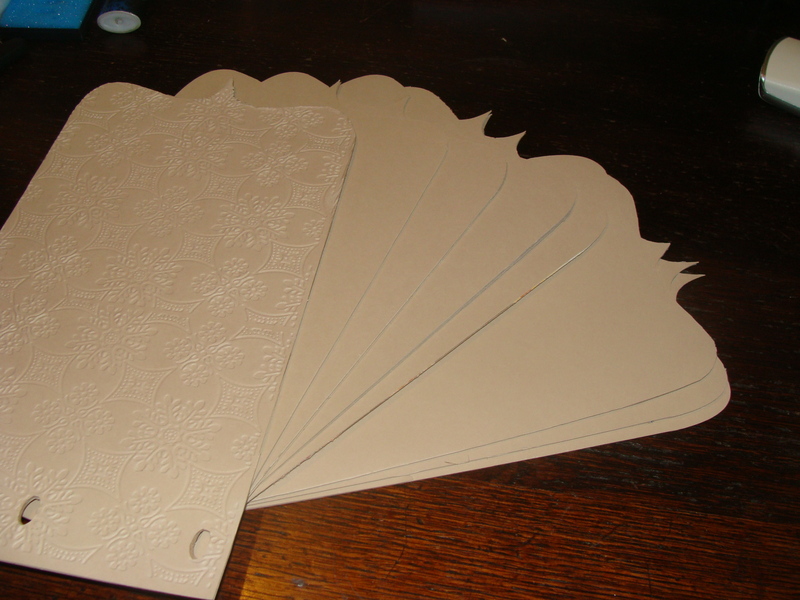 I picked doily 1 and sized it to 9.403 width and 9.417 height in the Cricut Craft Room. 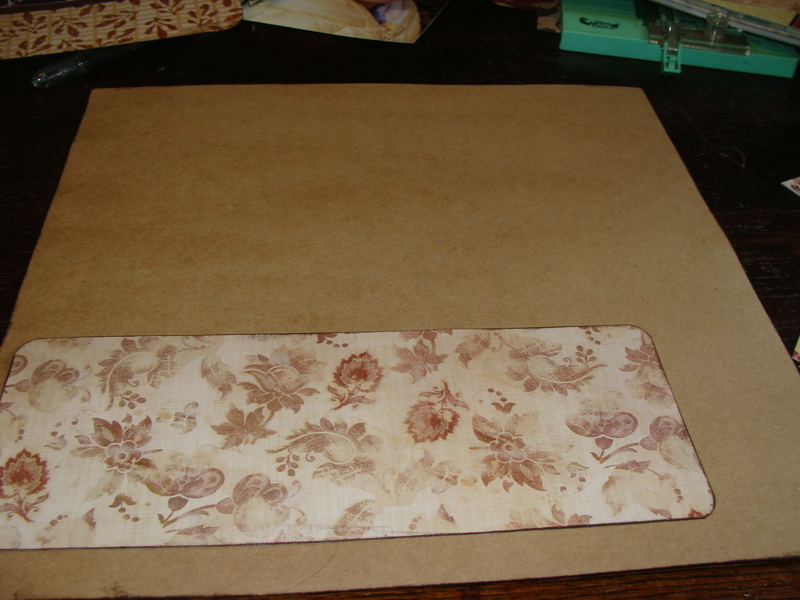 I used the hide contour and removed everything inside the doily except for the hole in the middle and the holes along the border. 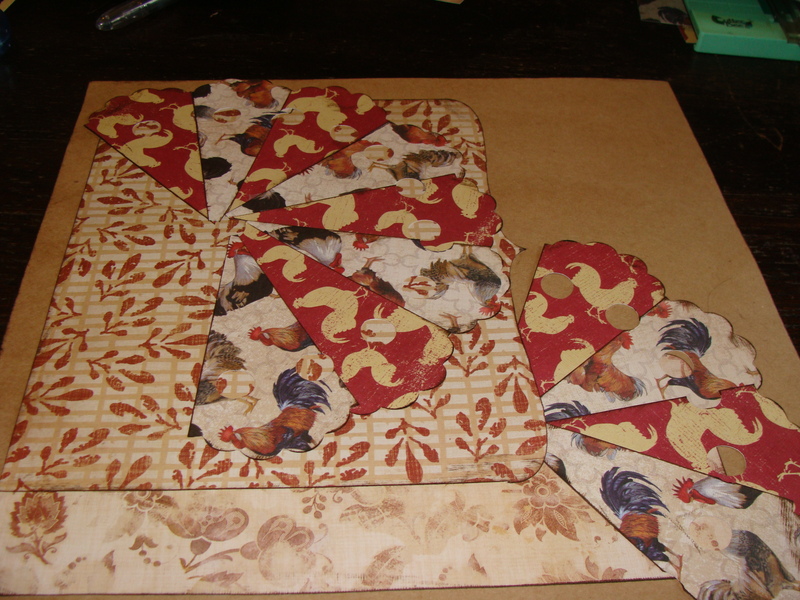 Then I cut both pieces of the chicken paper at 6×12 and put them on the cutting mat horizontally. After it was cut, I used my paper trimmer and cut them into slices resembling a pie. The next cut uses the Mini Books cartridge and I picked HrztIL 13 for it. I went to the hide contour feature and hid the holes on it. It was cut at 7.5 width and 9 high. This is a piece that I cut out for a starting point to design around. It’s just cut with a paper trimmer and then I used a corner punch to round the edges. It goes down first on the paper. Next I placed 3 of the cut fan blocks so that they fan out. 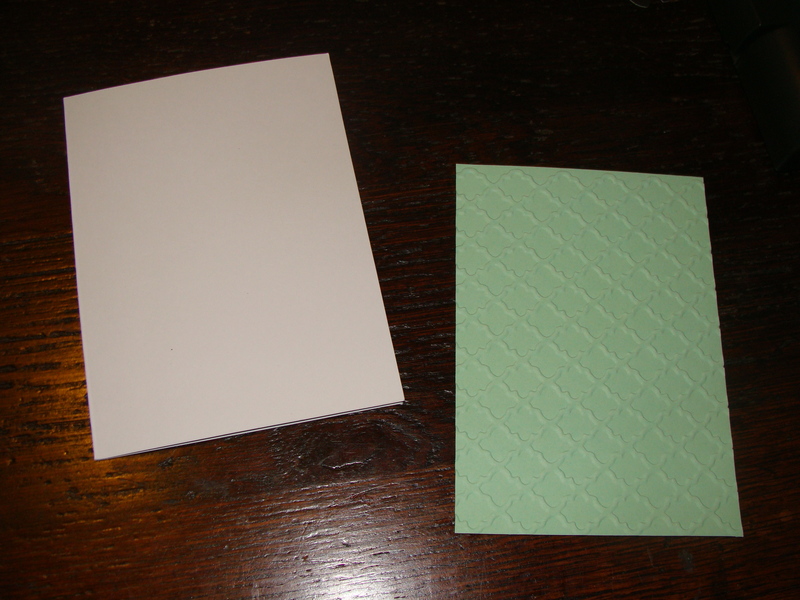 Next is the piece cut from Mini Books. 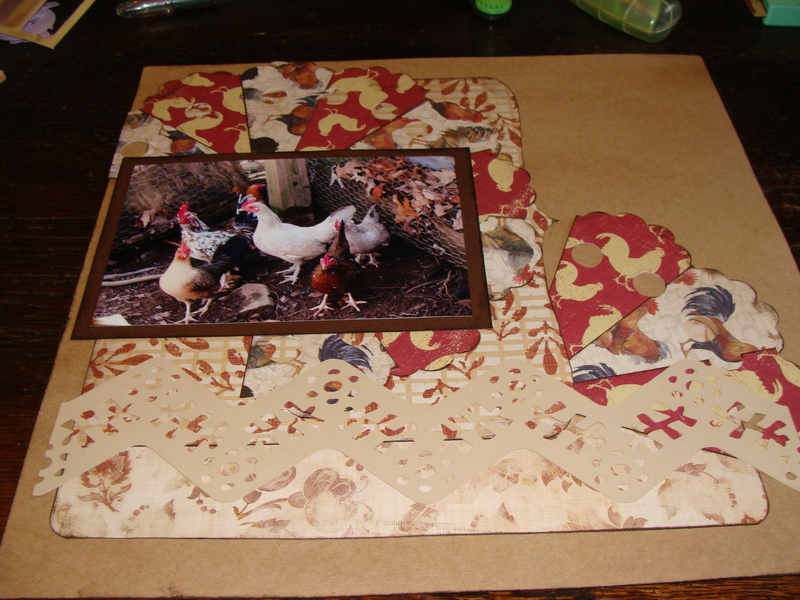 The next part involves placing your fan block pieces where your photo is going to sit. You will notice that they don’t match up at the bottom, but that’s ok because your picture will hide that! 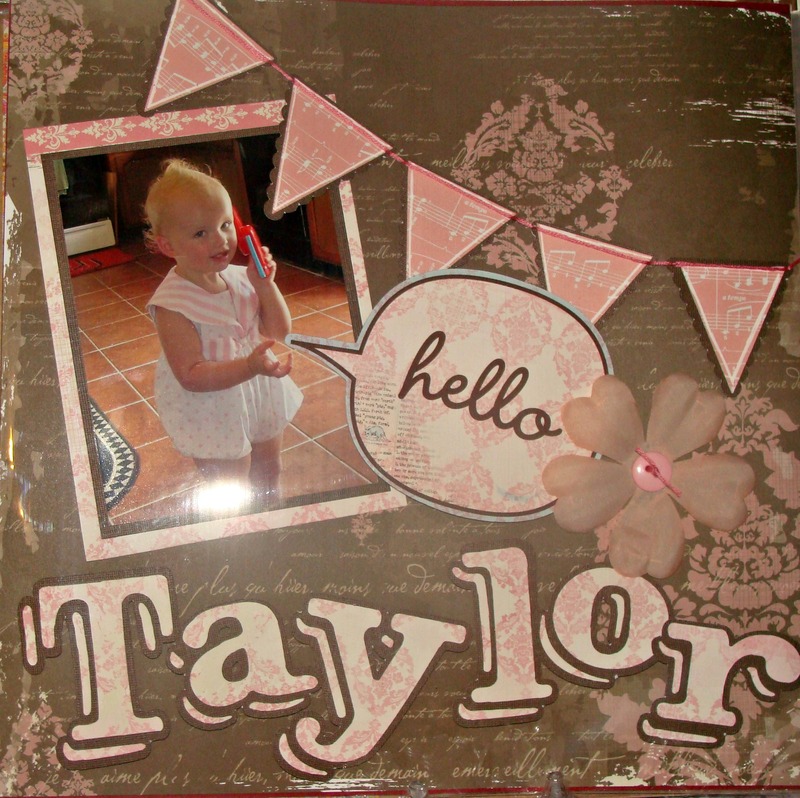 I mounted the picture on a dark brown mat then positioned it on the blocks. Now we come to the Folk Art cartridge! I went to the border section and picked one that looked like rick rack called Hen and sized it to 10.5 width and 2.5 high. 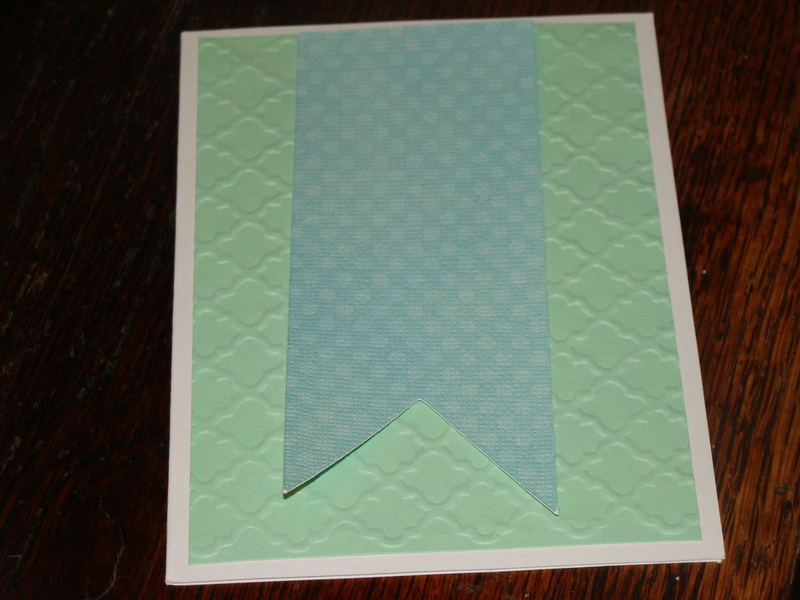 I cut it with a light cream cardstock. I placed it under the photo on the printed paper. Next I started working on the title. 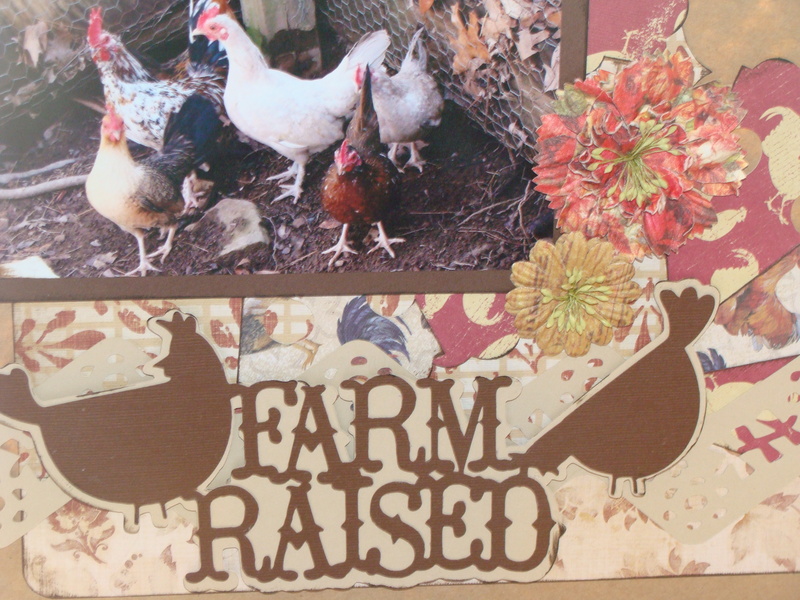 I used Country Life and picked the phrase Farm Raised. I put it directly on the CCR mat with no additional sizing. It sizes at 4.222 width and 2.5 height automatically which is about the size I wanted. Next I went to the basic section and found the 2 chickens. I dragged them onto the mat and kept them at the default size. I placed the first one and welded it onto the F and kept the 2nd one the same size as well. I welded it onto the M and D. I cut it on dark brown cardstock. Making the shadow was not too hard since I had not resized the images. 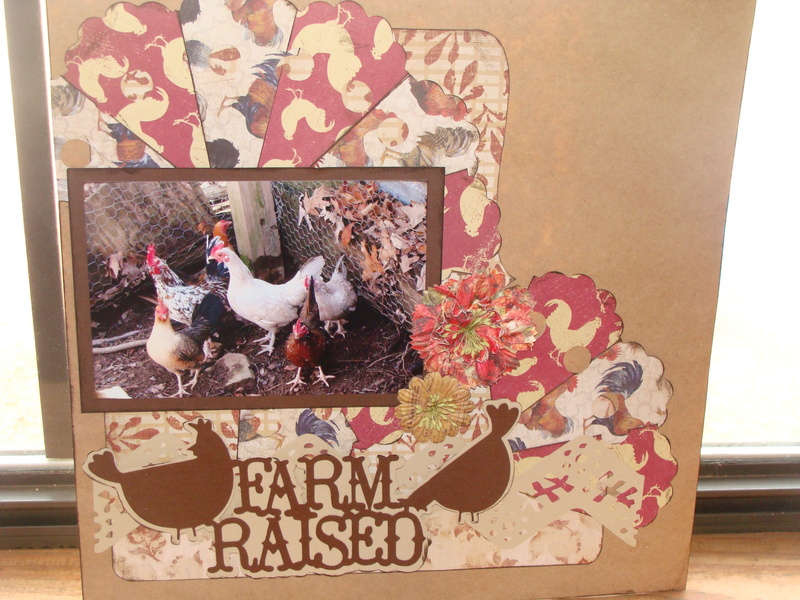 I just chose the phrase shadow and then the chicken images and welded everything together. 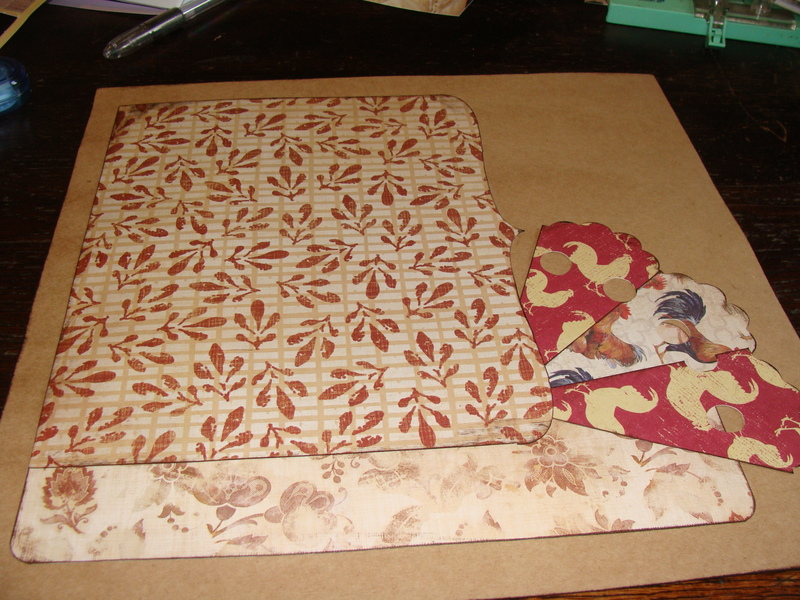 I cut it from the same cream cardstock that I had used for the rick rack border. 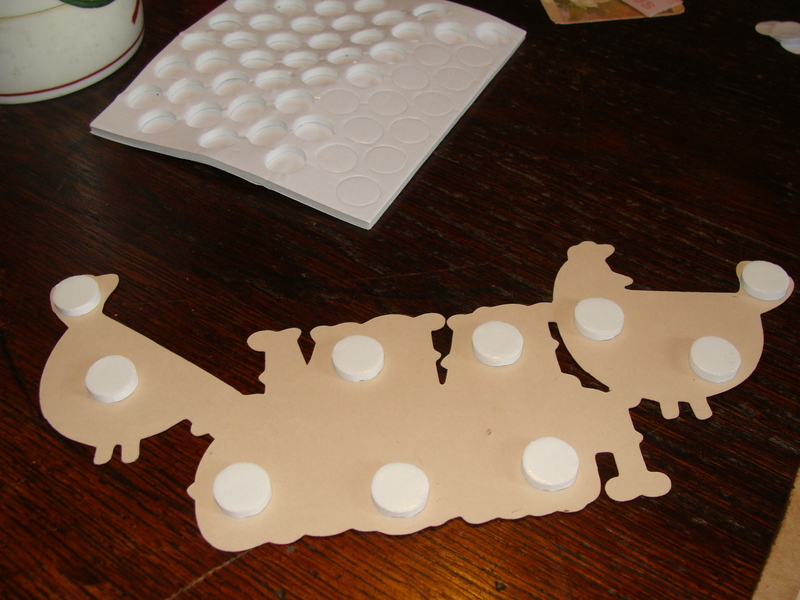 I attached the pieces together and used pop dots to raise them off the paper. 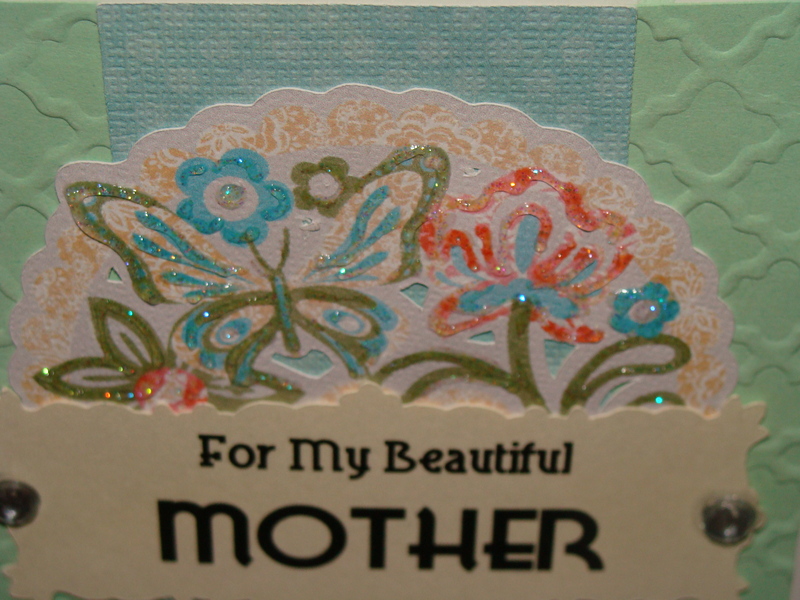 I then placed it on the border strip. For the final piece on this layout, I used a couple of my Prima flowers and attached them along the side of my picture where you see the gap between the fanned out images and the paper. An close up of how the fan blocks look after the picture is mounted. 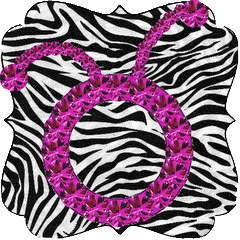 *Tip: I used Tim Holtz Distress Ink and inked all of the pieces of the layers to add some definition and make them stand out better. I would love to hear your feedback on my projects!